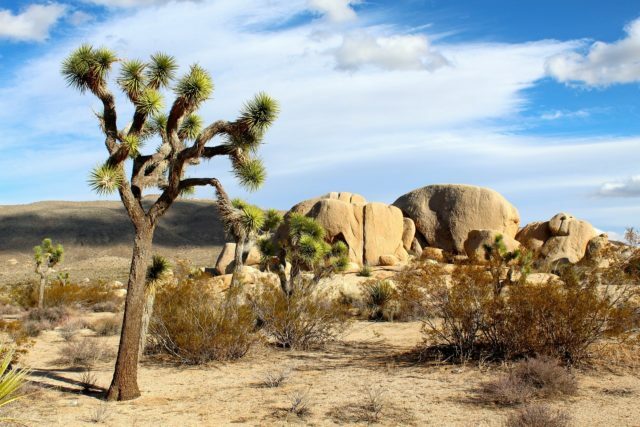 A record number of guests — numbering more than 22,000 — visited Joshua Tree National Park over Thanksgiving weekend, park officials said Wednesday, with the resulting vehicle congestion a testament to the park’s popularity. 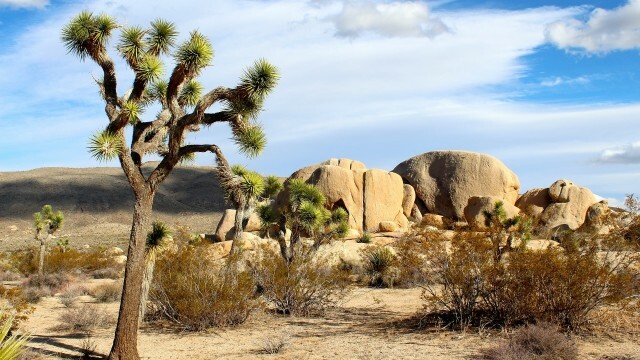 From Thursday to Sunday, guests filled all 540 campsites and had the park’s shuttle service operating “at capacity,” triggering “mile-long backups” at the park’s west entrance, officials said. Recent efforts to handle the overflow of visitors have included adding new trails and additional parking, as well as plans to move the west entrance station further into the park and away from public thoroughfares and construct another entrance near the park’s southern boundary. The park also reached record-breaking visitation numbers last year with nearly 3 million guests recorded in 2017, an increase over the prior year of more than 338,000 visitors. The 2017 numbers marked four straight years of record-breaking visitation numbers. “I know that the traffic and congestion have greatly affected our neighbors and local partners. We hear what you’re saying and are doing everything in our power — with new staff on the ground, the shuttle bus, and new trail heads — to help expand capacity and still protect one of the most magical places on the planet,” Smith said.